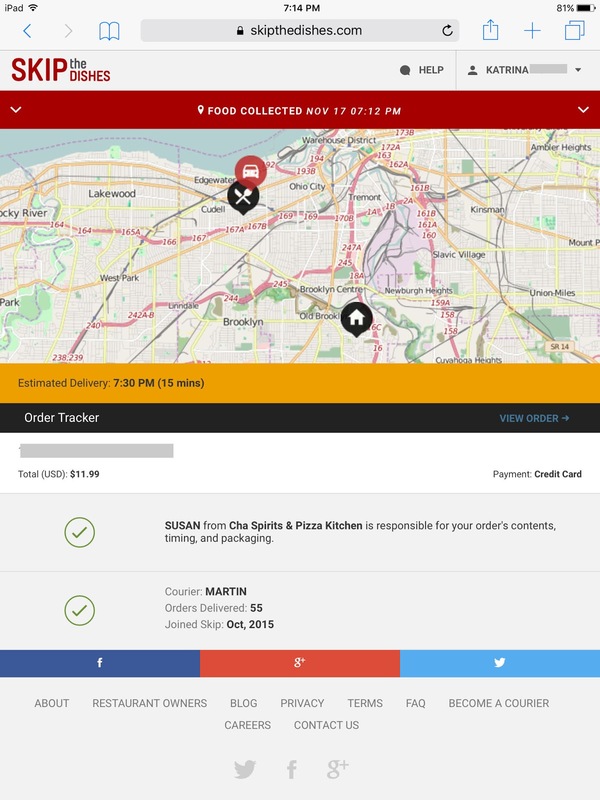 A new food-delivery service just launched in Cleveland, called Skip the Dishes. It's currently running in several Canadian cities, and now in three USA cities in Ohio. 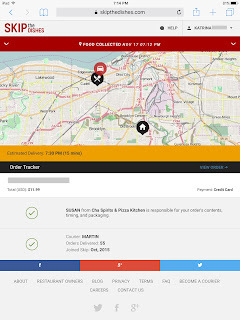 The service connects customers to local restaurants, and through Food Couriers, great food is just a few clicks away. Personally, Mr. H and I use similar services often. There are nights when we just don't feel like cooking or going out, but I crave something more than just pizza or Chinese. Services, like this one, connect diners to restaurants well beyond the standard delivery fare, and most restaurants included don't normally provide delivery. Win, win. Skip the Dishes approached me to review their service. After a quick peek at the list of restaurants available in my area, I gladly accepted. 55 restaurant selections were available! That far exceeds the two other delivery services that we've used in the past. I saw some exciting listings, like Johnny's Bar, Ty Fun, Le Petite Triangle Cafe, Adega, Wonton Gourmet & BBQ, Koko's Bakery, Number One Pho, Miega Koren BBQ, Sterle's, and Cafe 55. Many of these, we've never been able to get delivered, and a few we haven't even been to. I was also immediately pumped to see Banana Blossom listed. They used to be delivered through another service, and we had become hooked on their Crab Rangoon before they were yanked from the service that we typically use. I can get those little puffs of creamy, tangy goodness delivered again! You can order online, or use their app. Both are user-friendly, and creating an account was very simple. Seriously, the online tracker reminded me of Uber. It was very creepy cool to watch the progress of our order. 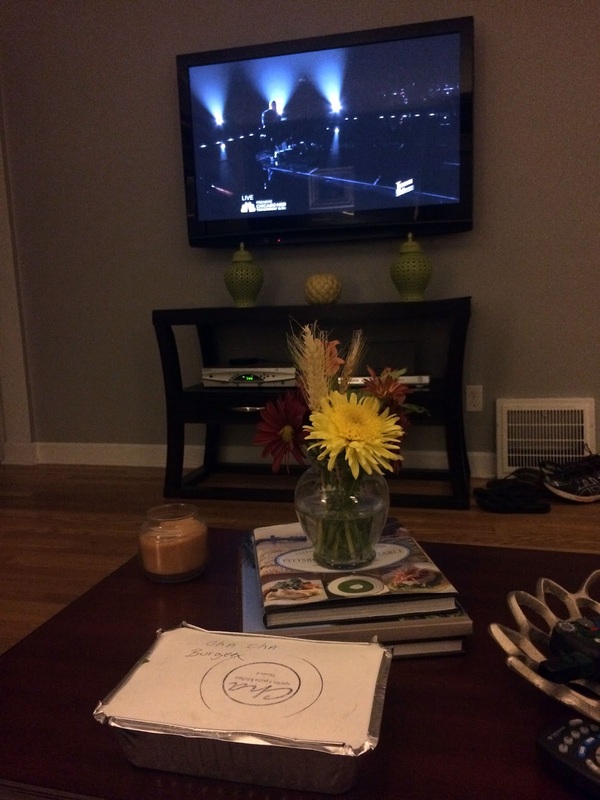 We could watch his car make its way to our house, including the couple of times that he made wrong turns on the way. The tracker kept refreshing, and it appeared to accurately keep up with his location and the estimated delivery time. For us, that becomes very important. We have three pups, and they tend to go quite crazy when someone comes to the door. It's a lot to handle when trying to answer the door and manage payment/food. So, we like to let them outside before any deliveries arrive. With other services, we've ran into times when they are so late that our poor pooches are left outdoors for quite a while. Skip the Dishes kept refreshing the delivery time, and we were able to scoot them out just in time. We ordered dinner from Cha Pizza Spirits & Pizza Kitchen, located in Battery Park. We haven't been in yet, so it was fun to check out their menu and sample a few items. 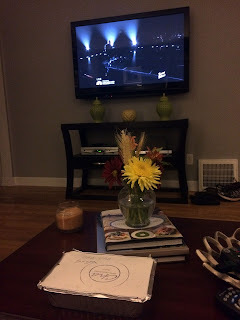 We settled in with hot, local food in front of the TV to catch up on The Voice. No fuss, no mess in the kitchen, and we had quality food delivered to our doorstep. Our Food Courier wasn't the friendliest, and he seemed very flustered over getting lost, but otherwise, using this service was a positive experience. That was seriously the only negative that we ran into. Its ordering system is simpler to use than others, the list of restaurants participating is much more extensive, no minimum orders, and the online order tracker is accurate and cool. Skip the Dishes gets a big thumbs up from us! I have good news. One lucky reader will get the opportunity to try this service out for themselves. Skip the Dishes is providing one random winner a $50 coupon code for a future order. Just use the Rafflecopter giveaway below for multiple ways to enter. A winner will be selected and announced on Monday, November 23rd. Good luck! 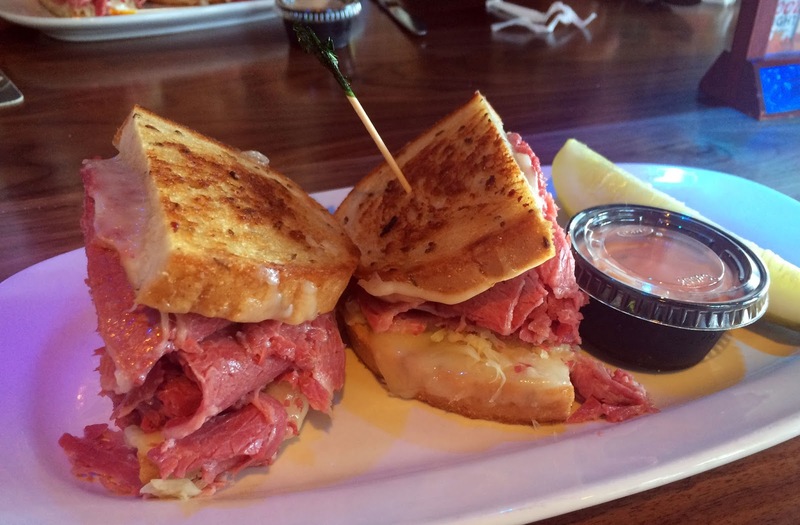 Head to their website to see what restaurants are participating in your area. So far, they are in Cleveland and Columbus, and will be launching in Cincinnati soon. This service is seriously great for those nights when you don't feel like cooking, but want something beyond your typical delivery options. They are the best service that we've used in Cleveland, and we'll continue to use them on our own. Disclosure: I was provided with a $50 coupon code to test and review the service, and one $50 code to give away, in exchange for this blog post. All opinions stated are 100% my own. A really great event is taking place this Saturday, November 7th from noon - 3:00 p.m. in the Gordon Square Arts District of Cleveland. 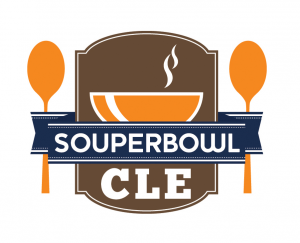 The inaugural SouperBowl CLE will feature tasting portions of soups crafted by more than 20 of Cleveland's independent restaurants. This time of year just begs for soup! The soup tastings will be scattered throughout neighborhood businesses. Attendees will act as judges as they spend the afternoon visiting the local businesses, and then they will vote by text for their favorite soups in various categories, including the prestigious title of "Best Soup in Cleveland." The winning restaurants will be awarded plaques to display in their businesses, with the “Best Soup in Cleveland” winner taking home the trophy. Tickets are only $25, and they are available to purchase online here. Proceeds from this event will benefit the West Side Catholic Center. Since 1977, the West Side Catholic Center has offered hot meals, hospitality, clothing and household goods, emergency services, advocacy, a women and children's shelter, and a housing solutions program to those in need at no charge, regardless of religious affiliation. WSCC depends on the generosity of the community. This does not only mean cash donations but a healthy in-kind donation program. Each year in December, actually the only time of the year, WSCC distributes NEW socks and underwear to those in need in the community. Over 1,500 men, women and children benefit from this annual distribution. Check-in for the SouperBowl CLE event is at the Cleveland Public Theater. This is a family-friendly event. Follow them on social media on Facebook, Twitter, and Instagram. Nothing to disclose here. I have no affiliation with the event. I just think it's a great, inexpensive, event that is fun for all ages. Everyone loves soup! You get to explore the Gordon Square Arts District neighborhood, sample a wide variety of soups from 20+ restaurants like Cleveland Vegan, The Flying Fig, Graffiti: A Social Kitchen, Happy Dog, Melt, Souper Market, Toast, Tremont Tap House, and proceeds will benefit a worthy local charity. What's not to like about this event? Get your spoon ready, and come taste some soup on Saturday.